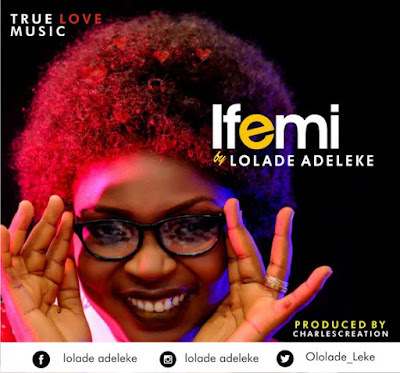 Lolade Adeleke releases her first love song titled Ife Mi to celebrate this season of love. Lolade Adeleke is a fast rising and vibrant voice in the Nigerian gospel music scene. The electrifying, anointed and unique worship and praise leader has over the years blessed lots of lives with her gift both in Nigeria and abroad. Her passion to spread the gospel across African nations and beyond inspired her first international Music tour in South Africa in 2013. The song writer, recording artist, CEO TrueLove Music, has decided to do her first official love single. A song intended to heal broken marriages and rain more lovedrops on love relationships. Lolade is a happy mother of two and lovely wife of a proud husband. This is the perfect song for the season. Download and enjoy this love filled, danceable music. Ife Mi by Lolade Adeleke.